I feel so honored to be the guest blogger on Mormon Mommy Writers! I totally identify with this blog, as the mommy of five kids who started writing when my oldest was a wee babe in arms and who is now just months away from a driving permit. 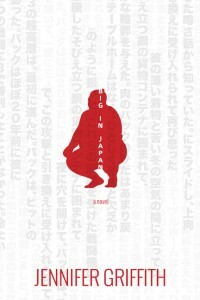 Lately I’ve been on a book tour for my latest book, Big in Japan. Writing it was a blast. I mean, I not only got to learn waaaaay more about sumo wrestling than I’d ever have imagined, I also conjured up a love story for it, which meant figuring out how to bring two very different people from wildly different backgrounds together, how to make them the perfect match, how to put the right obstacles between them, and how to make them overcome it all and find love. Deep Dark Secret confession time: All my life I’ve secretly wished I could be a matchmaker. I mean, I love love. And if I can have an influence, somehow, in bringing about love, well, I love it. But I’m a terrible matchmaker. In real life. I totally stink at it. In fact, I remember when I was a freshman in college, I worked at a department store with this girl from my hometown, and a guy from my ward had seen her and was smitten. My little matchmaker heart went into high gear! I told him to go for it, told her he was a nice guy. He brought her a dozen roses at work. She agreed to go out. Lah dee dah, they got married! I felt somewhat responsible for the ensuing heartache. Should’ve learned my lesson. And maybe I have. Mostly. Other than suggesting cute girls for my single brother-in-law to take on dates, I now restrict myself to fictional match-ups. And in Big in Japan I was doing my best to fashion them as interlocking puzzle pieces from the clay. Or whatever. I wanted them to be perfect for each other, but make their love seem totally impossible. I mean, he’s a 6’6” and almost 400-lb American. She’s a tiny Japanese girl. He’s low on confidence, she’s practically the princess of her father’s life. The list goes on. The more obstacles between the obviously perfect couple, the more satisfying it is to the reader when they finally overcome, I think. And so, Big in Japan? It isn’t really a romance. It’s more of a sports novel or a coming of age or mainstream fiction. But it has romantic elements. And for that part of the plot to work, I had to really think out the relationship and how to make the match. 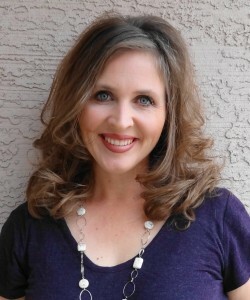 Jennifer Griffith lives in Arizona with her husband and five kids. Big in Japan is her fourth novel. She blogs at http://AuthorJenniferGriffith.com and can be found on Facebook at http://www.facebook.com/AuthorJenniferGriffith. Read more about Buck Cooper and his sumo adventures at http://jollyfishpress.com. (This is just a small note from me, Megan. Today is my last post, and I was so glad to give it to my wonderful friend and her fabulous new book. If you haven't read it, READ IT! I've loved my time here at MMW, and I'm sad to be leaving, but as is true in all lives, there is a time and season for everything, and my season here is over. It's time to give another writer the opportunity to share with you her wisdom and insight. I will miss all the women who are dedicated to MMW, especially Nikki, who gave me a chance when I really needed someone else to believe in my writing ability. Megan- I will miss your posts! Thanks for all your hard work on the blog!